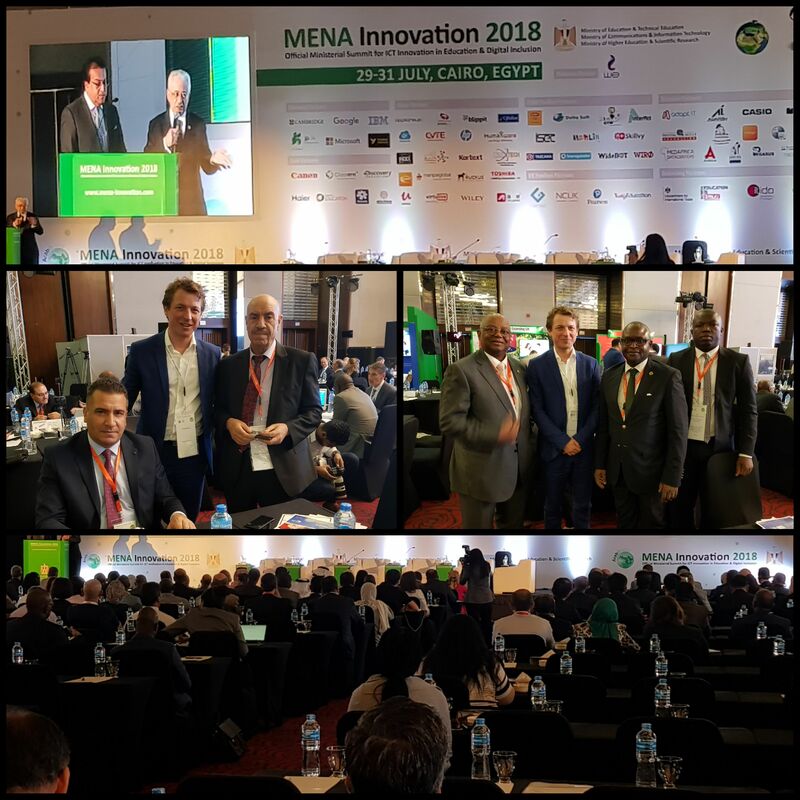 Merhaba and thanks a lot to our partner in Egypt Mr. Mohamad Assis for the great presentation of leXsolar at this year's Congress for Sustainable Environment in Cairo. We are pleased to be part of this advancement and help to create more practical skills for students and adults in the area of new energy engineering. Our qualified instructor Ronald Hübner travelled to South Africa as a part of an educational support program of the European Union. In the period from 11th to 15th February he visited the capital of Malawi. We asked him about his impressions and experiences. Ronald, I am happy to welcome you here again. Was it your first visit to Africa? And did you have any idea about what to expect? Yes, it was my first time in Africa. I must say I was very excited. It took 24 hours to get there and when I finally arrived in Malawi I was welcomed by a beautiful green landscape, 30 degrees and sunshine. Honestly not as I expected, because I thought it was rain season. Which of our experimental systems did you introduce and what was a typical daily routine like? I presented the experiment systems PV Professional, Wind Professional, ThermalEnergy Professional and SmartGrid Professional. I visited the technical college every day and presented an experimental system each day. On Friday, I presented a summary of all topics and afterwards a lecture about advantages and disadvantages of fossil and renewable energy sources. How do you think the teachers adapted to the experimental systems and the new knowledge? A total of 14 teachers took part in the training. Everyone was really interested in the experimental systems and the possibility to put the theoretical knowledge into practice. I think everyone, myself included, had a lot of fun with it. Which topic were the participants most interested in? I would say the topic SmartGrid was the best. Malawi has an electrification rate of about ten percent and the topic of intelligent power grids is therefore still completely new, because it has simply not yet been used. The experiment on storing of thermal energy generated a lot of enthusiasm. What potential do you think renewable energies will have in Malawi in the future? In Malawi a lot of energy and electricity is already being generated from hydropower. Solar energy in particular, but also wind energy have a very large potential. I hope that the country will continue on the path of renewable energies instead of relying on conventional energy sources such as coal and oil like other countries. Although Malawi is one of the poorest countries in the world, its inhabitants are considered to be the friendliest and most generous people. How did you experience Malawi? That is true, they are very kind people. In spite of the poverty, they are all very friendly and polite. I would say Malawi is truly the "Warm Heart of Africa". Thank you for taking the time to give us a brief summary of the project in Malawi and the country in general. In September 2018 Emil - a little penguin who explores the world of renewable energies to save his home - started his world trip for the 2nd time. Six classes from three schools joined Emil on a virtual trip around the world during one school year and answered questions about energy projects worldwide. The aim was to score points by answering quiz questions at each destination. What did you like about the individual stations of the E-Mobility Day? Königin-Luise-Gymnasium: "The students were able to explore for themselves and learn a lot, the variety and also the take away of the cars was good". Staatliches Gymnasium 10: "The stations were very wide-ranging. The expectations of the children were exceeded". Gesamtschule Roter Berg: "The contents were well explained through the tablets. [... ] The inclusion of a photo competition was a successful, creative addition." How do your students rate the competition for points against other school classes? Königin-Luise-Gymnasium: "The students are very excited about it and it encourages them." Staatliches Gymnasium 10: "The first thing the students want to know is how they scored in comparison to the rival class and preferably also the overall score. This competition motivates them a lot". Do you have the feeling that you can integrate the applied knowledge into your lessons? Königin-Luise-Gymnasium: "I think that's possible in several places, also in geography class". Staatliches Gymnasium 10: "The knowledge is brought up again within an interdisciplinary project." The trip ends on 3rd April at SWE in Erfurt. The finalists from each school have been selected and the preparations for the final are in great progress. All participants can look forward to creative and amusing short presentations of the various destinations. Now it's time for the students to stay on track! A winner has not been identified yet, because even on the final day there are enough points to move up the leaderboard. 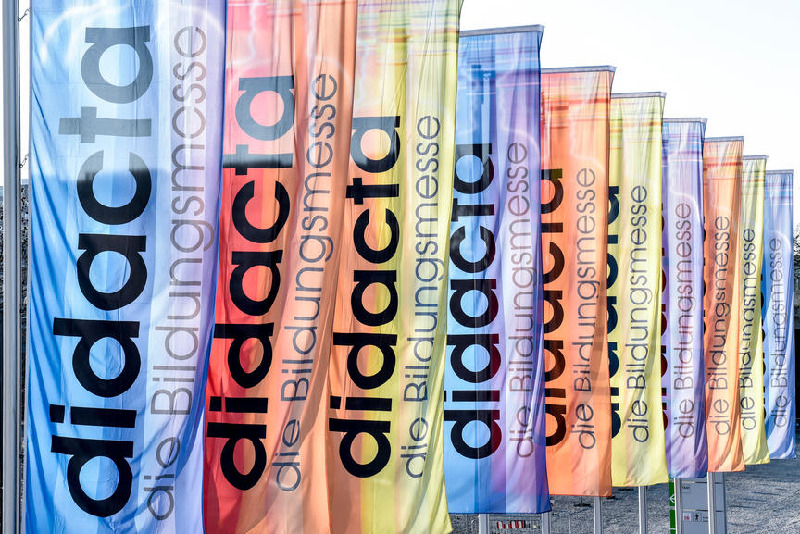 Since the didacta in cologne, a few days have passed and we have been able to review the experience. We spent the time in Cologne intensively and eventful. The great curiosity and interest in our innovations in the area of the biomass cycle, the BioEnergy ready to go, as well as the area of car motives with the EMobility-Instructor has impressed us particularly. The topics were our educational projects and experimental systems in the field of renewable energies and how to use them by the educational partners. Afterwards the participants had the opportunity to experience the didacta and to make their own impression of our educational offers at the leXsolar booth. We were happy about the numerous visitors at our booth, as well as the interesting conversations. The leXsolar team said their goodbyes to Cologne with many new experiences and was looking forward to their arrival at their hometown. We are pleased to welcome you at one of the next fairs or events, because as you probably know... after the fair is known to be before the fair. 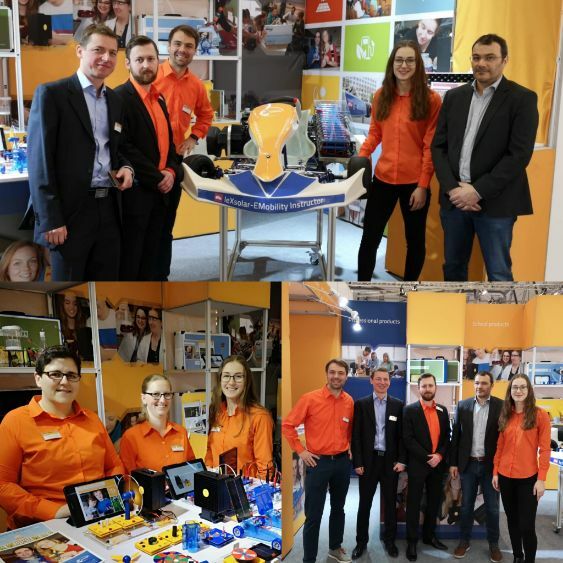 The didacta, the largest trade fair for the education industry in Europe, will take place this year from 19 to 23 February in Cologne. Our competent team is looking forward to your visit in hall 6.1, aisle F stand number 059, where we will be pleased to personally present our interesting products and educational projects. leXsolar - understanding new energies. 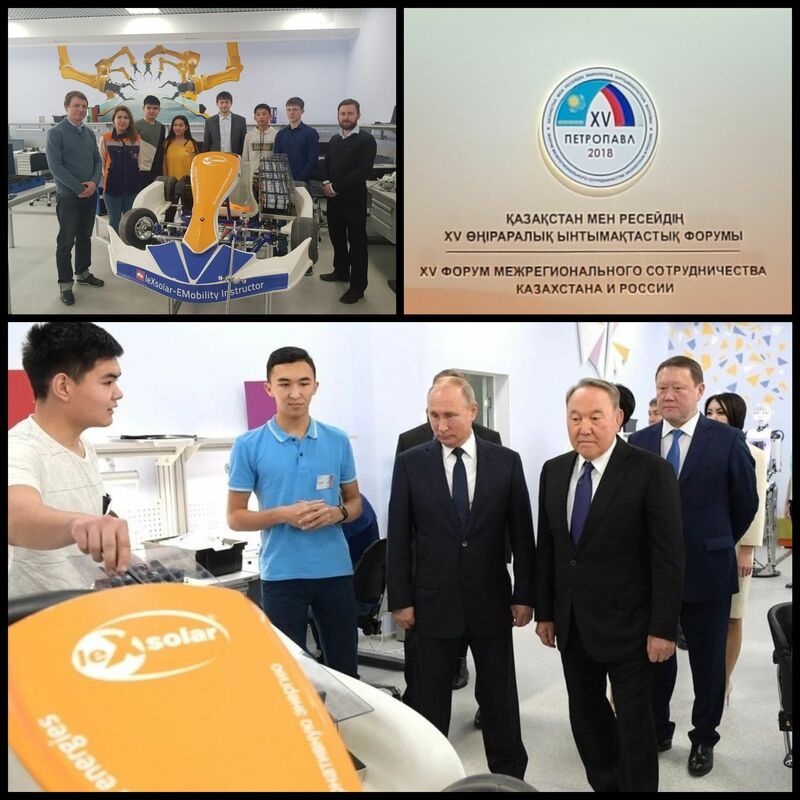 At this year's 15th Forum of cooperation between Kazakhstan and Russia in Petropavl / Kazakhstan, a new Science Lab was opened on November 9, 2018. 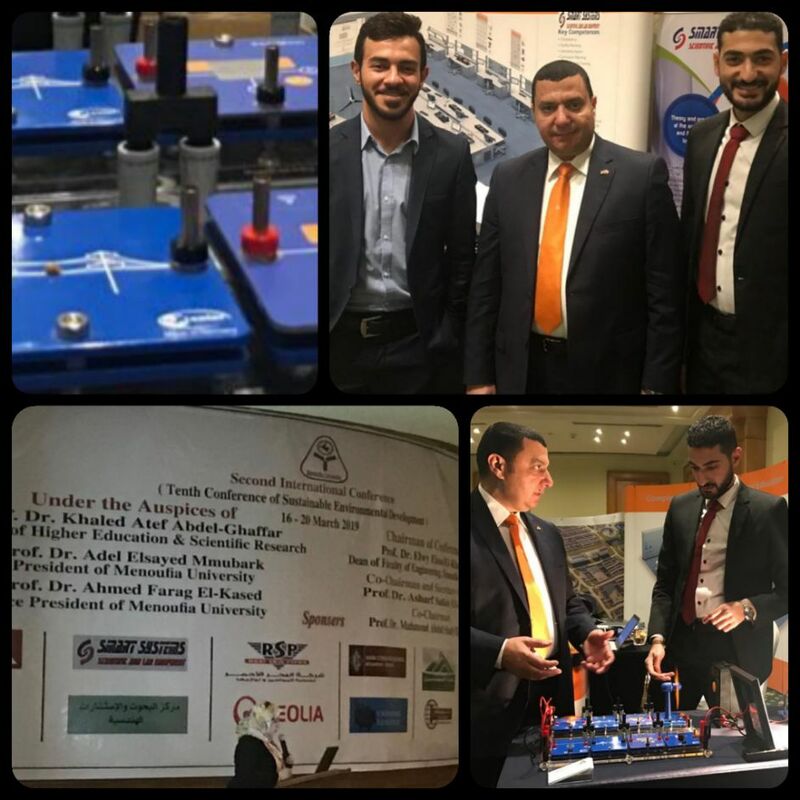 Main topics were TVET areas as well as the latest driving technologies and new energies. The presentation of the EMobility-Instructor was a special highlight. The EMobility-Instructor gives students an optimal training system for electromobility. Not only to understand it but also to experience it. The Russian President Vladimir Vladimirovich Putin and his Kazakh counterpart President Nursultan Aebischuly Nazarbayev were part of the opening ceremony. We as leXsolar are proud to be a part of this new educational initiative and we look forward to further projects together with our partner TOO BI Civil Construction in Kazakhstan. Mission 100% new energies in Azerbaijan is not accomplished but in progress. Azerbaijan – the pearl at the Caspian Sea and a hot spot for petrol industries worldwide is starting to change the way of thinking about the future of oil. With leXsolar and the well-established partner LTScientific we will help and support the education and training tools to make this bright future possible. Follow-up report: electromobility is the main topic in this year’s IAA in Frankfurt. 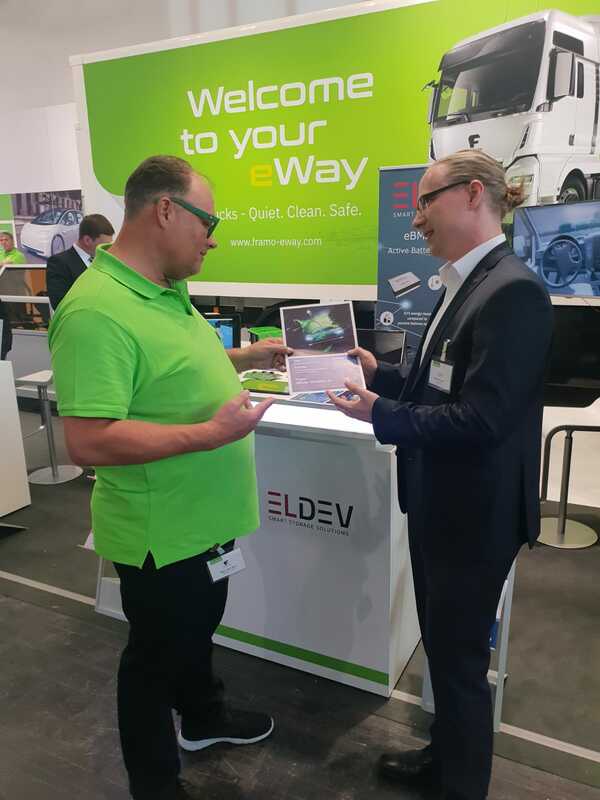 With our partner in the field of professional battery management systems (BMS), the company ELDEV, we were able to establish many interesting contacts. This way, we are bringing the topic of electromobility directly to the training companies and chambers of trade throughout Germany. Further information about our EMobiliy Instructor in the form of a short product presentation can be found here. of the MENA and MIDDLE EAST region. 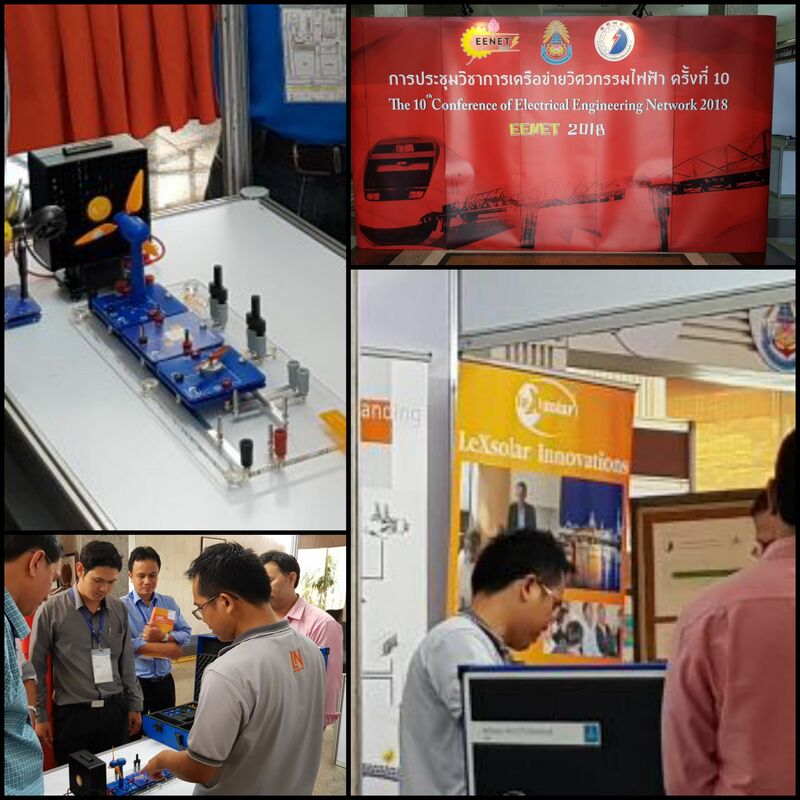 Kind regards and thanks a lot to our partner in Thailand Mr. Komate for the great presentation of leXsolar on the yearly electric engineering network meeting in north area. We are happy to be a part of the network to push and help to create more practical skills for students and adults in the area of new energy engineering.